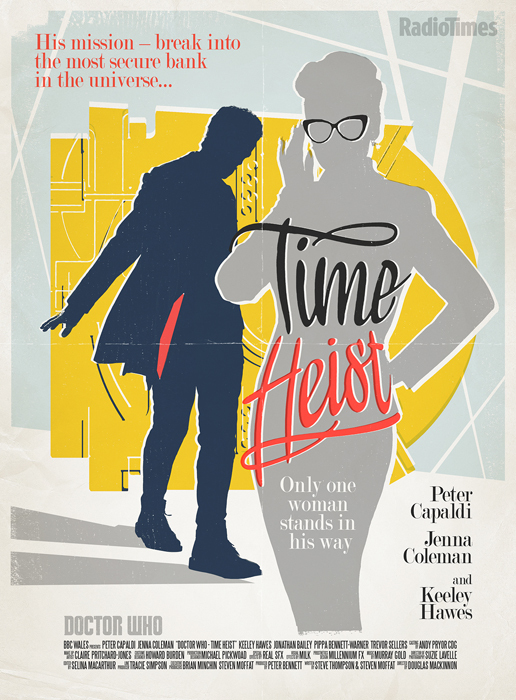 “Time Heist” opens as Clara (Jenna Coleman) is getting ready to go out on a date with fellow Coal Hill teacher, and new boyfriend, Danny Pink (Samuel Anderson)… cue a flashback as they sneak a quick snog in the classroom! The Doctor (Peter Capaldi) is vainly attempting to convince Clara to take a trip with him instead, when suddenly the TARDIS phone rings. 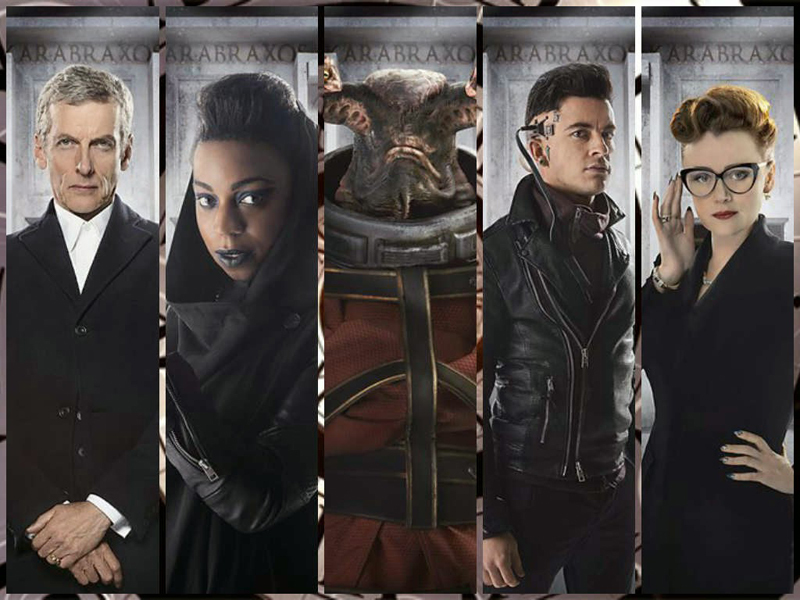 Despite Clara warning him not to answer, the Doctor picks it up… and suddenly the two of them find themselves in a strange room, accompanied by the cyborg hacker Psi (Jonathan Bailey) and the shape-shifter Saibra (Pippa Bennett-Warner). All four of them have had their memories of the immediate past erased. But via a pre-recorded video message from a shadowy figure calling himself “The Architect” they learn that, somehow or another, they have agreed to break into the Bank of Karabraxos, the largest bank in the galaxy. Not surprisingly, the Bank of Karabraxos possesses an incredibly formidable security system, making the task of the Doctor & Co extremely difficult. One of the Bank’s most remarkable & dangerous deterrents against theft and fraud is “The Teller.” A strange alien who is kept in a straightjacket & chains by the Bank staff, The Teller is a telepath who can detect “guilty” thought patterns, and who can feed on a person’s mind, literally sucking their skull dry. The Doctor realized that this is the reason why The Architect arranged for them to have their memories wiped, to lessen their chances of being sensed by The Teller. “Time Heist” is simultaneously a bank heist story with multiple sci-fi twists and a mystery, as the Doctor, Clara, Psi and Saibra each attempt to figure out why exactly they would have volunteered to commit this dangerous crime. In the process, the viewers learn quite a bit about Psi and Saibra. Psi, when he was previously arrested, deliberately erased all his memories of his friends & family to prevent the authorities from learning about them. Now that he is once again free, Psi very much wants to recover those memories so that he will no longer be alone. Saiba is also seeking to overcome her solitude. Her shape-shifting power hinges upon physical contact, meaning that she will transform into a duplicate of anyone she touches. Understandably enough, that prevents her from ever becoming close to anyone, to having any sort of romantic relationship with another being. Jonathan Bailey and Pippa Bennett-Warner both do excellent work playing these two characters, and you do feel like you get to know them quite well before the end of the episode. 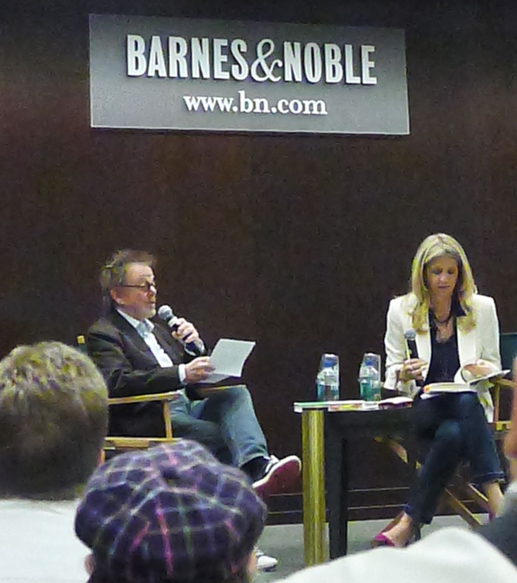 So, spoilers… we eventually learn that The Architect is none other than the Doctor himself. He has used his knowledge of time to determine the exact point in history when the heist will succeed, and to set the groundwork for himself, Clara, Psi and Saibra to break in. And the reason why he has arranged all this is that the person who is calling him is none other than the Bank president Ms. Karabraxos (Keeley Hawes) many years in the future, dying and full of regrets about the myriad crimes she committed during her life. She asks the Doctor to go back along her timeline and rescue The Teller and its mate, which she holds hostage, from her captivity. The Doctor does just that, in the process handing the much younger Ms. Karabraxos a note with the TARDIS phone number written down on it. He tells her to give him a call some time, and Karabraxos responds “You’ll be dead.” To which the Doctor replies “Yeah, and you’ll be old. We’ll get on famously. You’ll be old and full of regret for the things you can’t change.” This episode was an interesting twist on the notion of the Doctor as a manipulative figure, as this time he is even influencing his own actions from behind the scenes. Certainly the most compelling aspect of “Time Heist” is Peter Capaldi. Even early on, when I wasn’t sure about the writing, his performance was superb. I love watching his Doctor working on a mystery. You can almost literally see the wheels in his head turning. And his irreverent eccentricity is just brilliantly mad. When everything begins to come together at the end, his Doctor has this manic “A-hah!” quality about him, and we see him almost literally bouncing about the room as he connects the dots. Yep, I love his Doctor. It was just brilliant casting Capaldi in the role. It was certainly intriguing that the Doctor’s anger at The Architect turned out to be a projection of his own self-loathing for his worst qualities. And it is that which leads the Doctor to finally figure out exactly what was going on. “I hate him! He’s overbearing, he’s manipulative, likes to think that he’s very clever. I hate him! Clara, don’t you see? I hate the Architect!” It is a very well written, revealing piece of dialogue that is expertly performed by Capaldi. Stephen Thompson & Steven Moffat did good work on this episode. Certainly this is a significant improvement over the two previous Doctor Who stories that Thompson wrote on his own, “The Curse of the Black Spot” and “Journey to the Centre of the TARDIS.” As with the previous week’s episode, “Listen,” I think that “Time Heist” is a story that will gain much from successive viewings, so that you can more clearly see the twists & turns of the plot unfolding. Easter egg time: at one point when Clara is being pursued by The Teller, it is lured away from her by Psi. He accesses his data banks and brings up all of the criminals he has on file. “Come and find me. Every thief and villain in one big cocktail. I am so guilty! Every famous burglar in history is hiding in this bank right now in one body.” A number of “mug shot” images rapidly flicker across the screen. Among them I spotted a Sensorite, a Terileptil, the Gunslinger from “A Town Called Mercy,” a Slitheen… and, very surprisingly, Abslom Daak: Dalek-Killer. 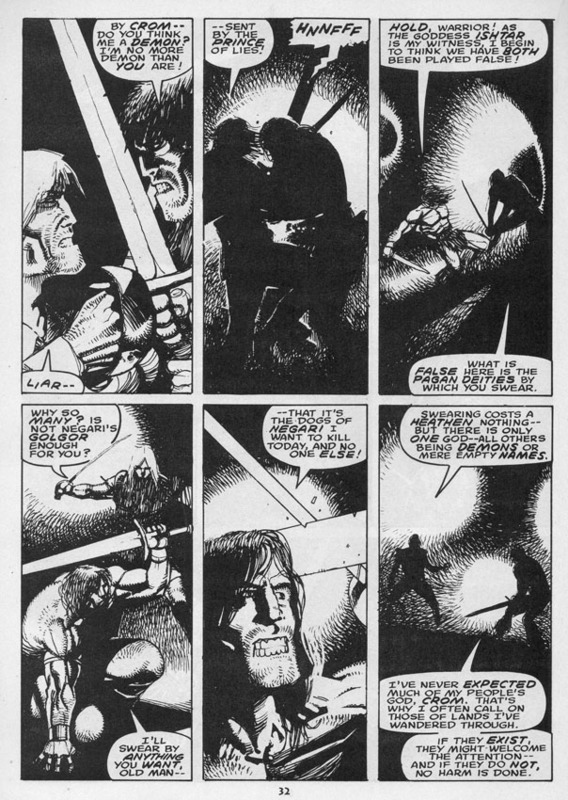 Yes, that’s right, the infamous chain-sword wielding anti-hero created by Steve Moore & Steve Dillon in pages of the Doctor Who Weekly. That’s Dillon’s artwork from the comic strip on display. The whole of Doctor Who fandom must now be pondering whether Daak will ever appear on the show in person and, if so, who will play him. I know that some viewers were no doubt turned off by the unconventional nature of both “Listen” and “Time Heist.” But, honestly, one of the major strengths of Doctor Who has been its flexibility. Having the Doctor regenerate every few years, revealing his background as a Time Lord, exiling the Doctor to Earth for several years, sending him on a season-long quest for the Key To Time, destroying Gallifrey, making Doctor-lite episodes like “Blink” and “Turn Left,” having the Doctor in a non-chronological romance with River Song, revealing the existence of the War Doctor… the series has repeatedly experimented with different story structures and made significant changes to its main character. Really, the only two constants in Doctor Who are change, and that fans of the show will never manage to agree with one another about those changes! “Time Heist” is certainly an interesting installment of Doctor Who. I look forward to re-visiting it in the near future and seeing what I make of it the second time around. 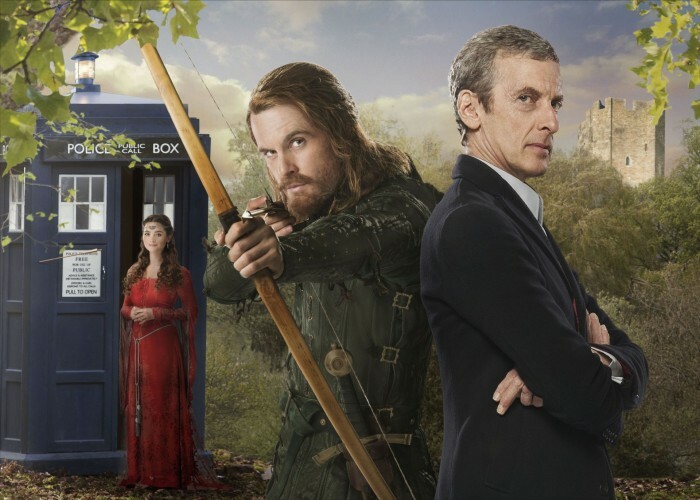 The third episode of Doctor Who Series Eight, “Robot of Sherwood” written by Mark Gatiss, is something of a comedy. After the grim tone of the previous week’s “Into the Dalek” this makes for a nice change of pace. The episode further develops the character of the recently-regenerated Twelfth Doctor (Peter Capaldi) and his changed relationship with Clara Oswald (Jenna Coleman). Asked by the Doctor to choose a destination for the TARDIS, Clara decides that she wants to meet one of her childhood heroes, Robin Hood. The Doctor immediately dismisses Robin Hood as nothing but a legend. “He’s made up. There’s no such thing.” But Clara wears him down and he reluctantly sets the coordinates for Sherwood Forest in medieval times. Arriving, the Doctor is extremely surprised and annoyed to find that a very jolly fellow in green armed with a bow & arrow claiming to be Robin Hood is ready to steal the TARDIS. “Robot of Sherwood” brought a big grin to my face on several occasions. Capaldi was excellent as the Doctor, who even at bow-point adamantly refuses to acknowledge Robin Hood’s existence, instead floating all manner of outlandish theories to explain away the presence of the prince of thieves and his band of Merry Men. Clara, in contrast, is utterly charmed and thrilled. Wearing a beautiful red period dress, she is ready to dive right in, much to the Doctor’s disgust. One of my favorite moments came early on when Robin (Tom Riley) challenges the Doctor to a duel for the TARDIS. The Doctor accepts, but instead of utilizing a sword whips a large spoon out from his jacket. Capaldi’s enthusiasm and irreverence totally sells the scene. Of course the Doctor would be crazy enough to fight someone with a spoon! Much of the episode is devoted to the Doctor alternating between attempting to prove Robin is a fake and showing up the archer. Quite clearly the Doctor does not want to be proven wrong. Neither is he comfortable with Clara mooning over the outlaw lord of Locksley, as the Doctor hates to be outdone by anyone. 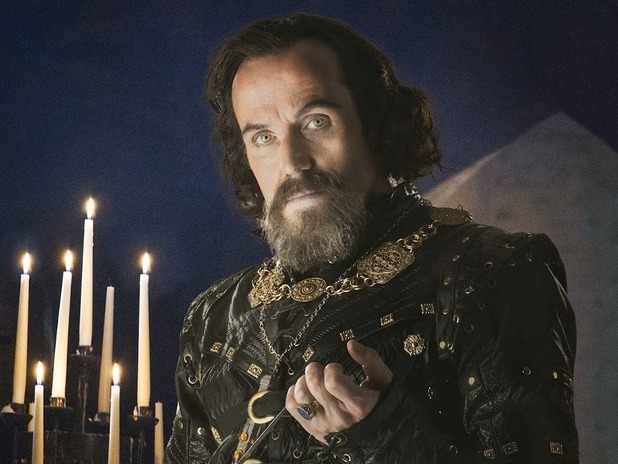 During the famous archery contest organized by the Sherriff of Nottingham (Ben Miller) to trap Robin into revealing himself, the Doctor inevitably tries to grab the spotlight, attempting to out-shoot the legendary archer, and then finally resorting to blowing up the target with his sonic screwdriver. When the Sherriff orders his knights to attack them, in the resulting fight Robin hacks off one of their arms, revealing it to be a robot. Of course the Doctor is utterly jubilant, as this finally seems to confirm for him that everything that is taking place is a fake. In a number of ways “Robot of Sherwood” is almost a love letter to the Jon Pertwee era of Doctor Who. The Twelfth Doctor’s costume has a more than passing resemblance to the Third’s. Capaldi’s performance certainly possesses some of the authoritative, bossy arrogance of Pertwee’s. There are parallels to the Third Doctor story “The Time Warrior,” with its spaceship crash-landing in medieval England, and a ruthless robber baron attempting to use alien weapons to expand his empire. “The Time Warrior” even had a robot knight, and “Robot of Sherwood” improves on that with a whole army of them. Other instances that call back to the Pertwee era are the Doctor using a martial arts move to disarm Robin Hood, and his suggestion to Clara at the start of the episode that they take a trip to Mars to visit the Ice Warriors. 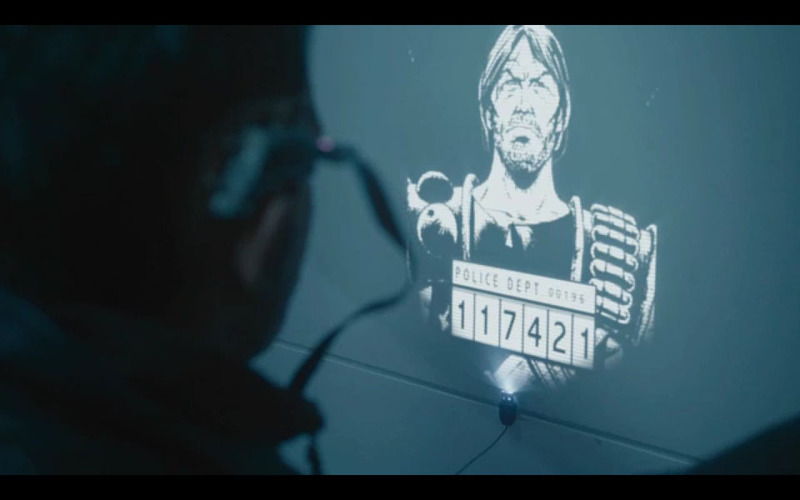 At one point, trying to figure out the “truth” behind Robin Hood’s presence, the Doctor wildly guesses that they are actually in a Miniscope, a shout-out to the Third Doctor serial “Carnival of Monsters.” Miller’s theatrical performance as the black-clad, bearded Sherriff even brings to mind the Third Doctor’s constant adversary The Master, both in his physical appearance and in his propensity for wildly impractical schemes to conquer the world. I was left wondering if the Sheriff attended The Roger Delgado School of Villainy, as taught by head instructor Anthony Ainley. It is actually very appropriate for the Doctor to have this self-perception, and to be dismissive of his accomplishments. It has sometimes been observed that real heroes do not think of themselves as heroes; rather, they are just people who are merely attempting to do the next right thing in a difficult, complicated world. And that can certainly apply to the Doctor. Some fans may have been put off by the whimsical tone of “Robot of Sherwood.” Myself, I liked it. One of the great strengths of Doctor Who is that is can support episodes that are diverse in tone and style. This was humorous without being silly, a fun story that entertained while continuing to develop the character of the Twelfth Doctor. I was a bit surprised when DC Comics announced that one of their latest New 52 titles would be Infinity Man and the Forever People, a revival / revamp of the characters created by Jack Kirby. Although I think the Forever People are cool, I will be the first to admit that they are probably among the lesser-known “Fourth World” characters devised by Kirby. 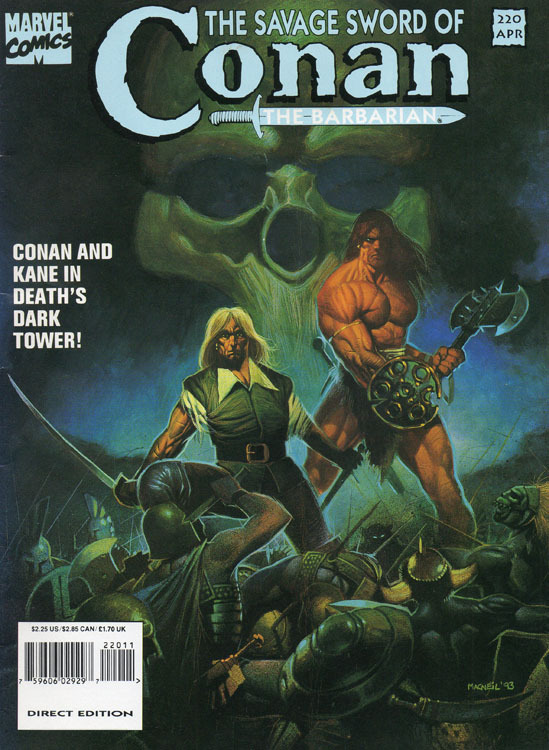 After their initial eleven issue run in the early 1970s, they were not seen again until a six issue miniseries published in 1988. Subsequently they have not been featured in any other starring roles, only making guest appearances here and there. However it is not entirely unexpected for the Forever People to receive a revival. It is true that DC has actually attempted to launch a number of offbeat and experimental titles in the last three years. The problem faced by many of those fringe books has been that DC put them out there with little in the way of promotion. Most of them ended up falling below the radar, drowning in a sea of Batman related titles. Based on that pattern, I honestly did not know how long Infinity Man and the Forever People would last. But I figured I had might as well give the book a try while it was here. After all, I am a fan of the characters, as witnessed by the Beautiful Dreamer tattoo on my left leg. Co-writing Infinity Man and the Forever People are Dan DiDio & Keith Giffen. They’ve made revisions to the original set-up by Kirby, altering some of the characters. I generally am not too keen on that, and was underwhelmed by the New 52 re-conception of both Darkseid and Highfather’s origins in Justice League #23.1 last year. That said, I have to acknowledge that the Forever People were never developed in too much detail by Kirby during their all-too-short original series, and their sporadic appearances since then has left them somewhat blank slates. 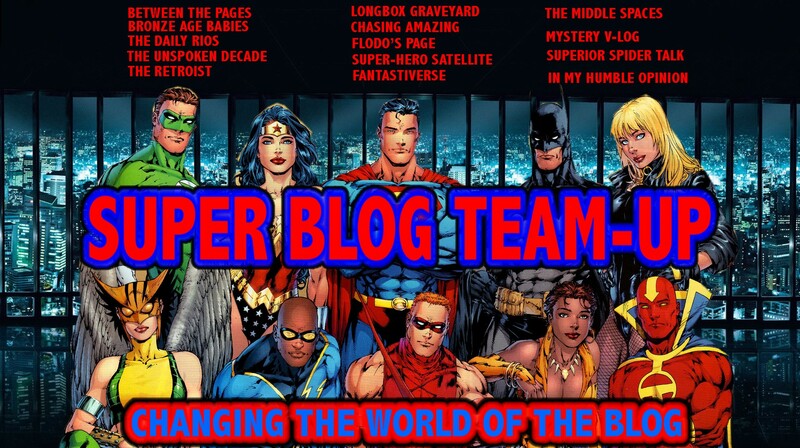 So it is not as if DiDio & Giffen are upending decades of storylines & characterizations. 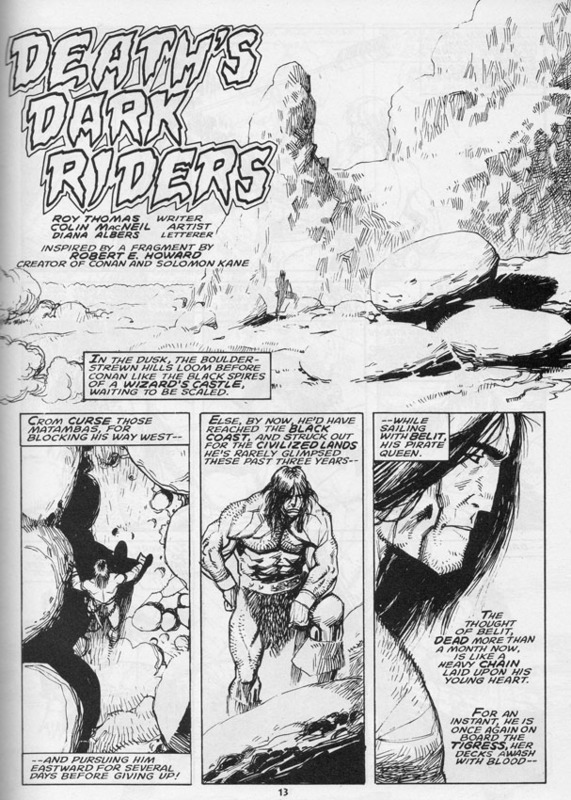 Mark Moonrider and Beautiful Dreamer so far appear to be pretty close to their original incarnations. Vykin the Black has been renamed Vykin Baldaur and made into a more cynical figure (as much as I love Kirby, I really thought it was unfortunate that the only two non-Caucasian members of the Fourth World mythos were named Vykin the Black and the Black Racer). Serifan has been given a change in gender & ethnicity, becoming Serafina, the younger sister of Vykin. Big Bear is now the oldest member of the Forever People, as well as secretly from Apokolips, apparently having been given elements of Orion’s backstory. 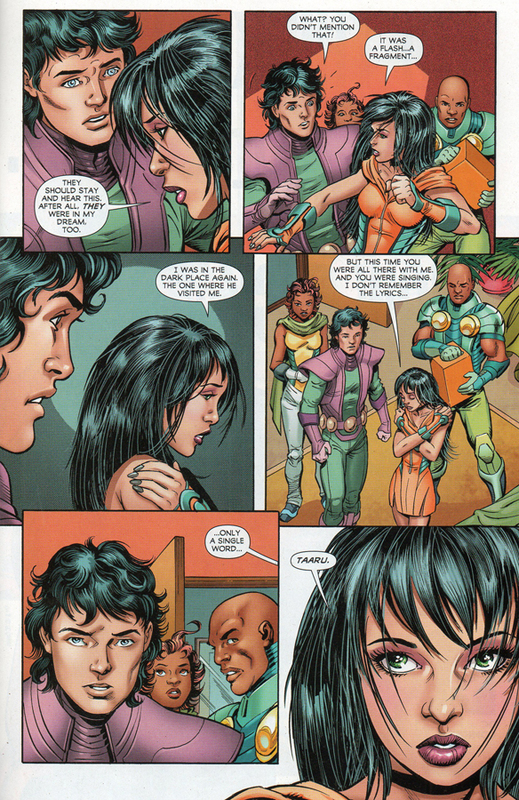 Mark, Dreamer and Serafina are shown to be students on New Genesis who are about to embark on a study abroad type of assignment on the planet Earth, but they are unable to activate their Mother Box. 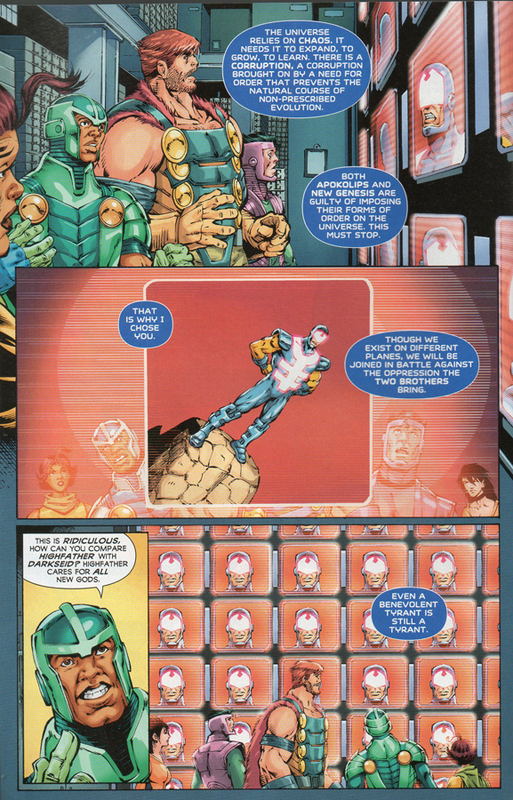 Vykin, who dislikes Mark and doesn’t want his sister going off-world with him, arrives to object, only to find that he is the only one Mother Box will respond to. Reluctantly he accompanies the other three to Earth. They are greeted by Big Bear, who has been on Earth for some time, working with human scientists in an attempt to advance the planet’s technology and bring about greater prosperity. 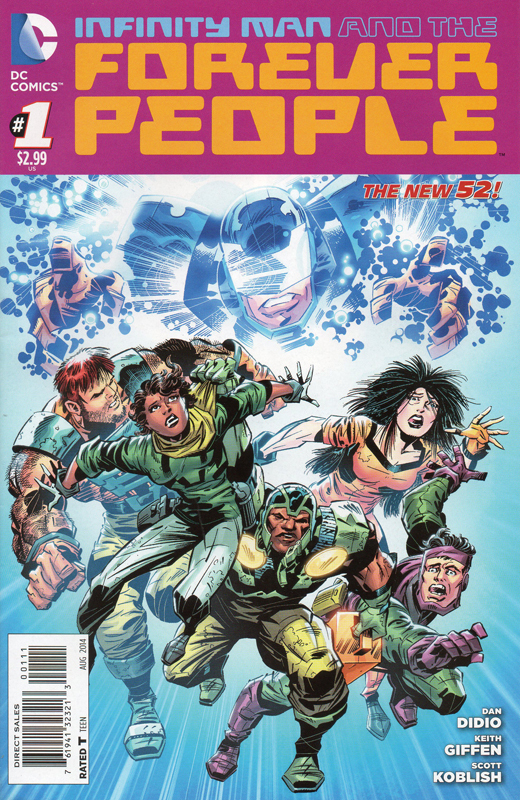 DiDio & Giffen appear to be focusing on the “rebellious youth” aspect of the Forever People. Back in 1970, when he devised the characters, Kirby was inspired by the hippy / flower children counterculture. Truthfully I do not know how much of that came through in his stories, though. After their devastating cosmic war with Apokolips, the people of New Genesis mostly turned their backs on conflict, and the planet became close to a spiritual paradise. Because of this, I never really understood precisely what the Forever People were rebelling against. They merely seemed to be more impulsive and hotheaded, rushing off to Earth to fight the forces of Darkseid. One can discern a state of affairs set up by DiDio & Giffen inspired by Cold War geopolitics. Apokolips, with Darkseid at its helm, is a force of totalitarian order akin to the Soviet Union. It brutally oppresses its citizens, forcing blind obedience & uniformity from them, and it seeks to expand its empire via conquest. New Genesis is cast in the role of the United States, ostensibly working to preserve freedom & democracy. But in the name of preserving its security and opposing Darkseid’s machinations, New Genesis interferes in the affairs of lesser worlds, resulting in unfortunate side effects for those planets and their inhabitants. And while not an identity-crushing police state like Apokolips, the government of New Genesis encourages conformity and obedience lest individuality and the questioning of authority weaken the planet’s strength & resolve. While I am a bit hesitant to embrace a version of New Genesis that appears to have such common ground with Apokolips, I have to acknowledge that this actually provides the Forever People a very clear-cut political system to rebel against, an ideology to oppose. They are rejecting both Highfather and Darkseid’s paths. They are seeking the freedom to guide their own destinies, and to enable other beings to do the same thing. In addition to co-writing Infinity Man and the Forever People, Giffen is also penciling the series, paired with the talented Scott Koblish on inking. 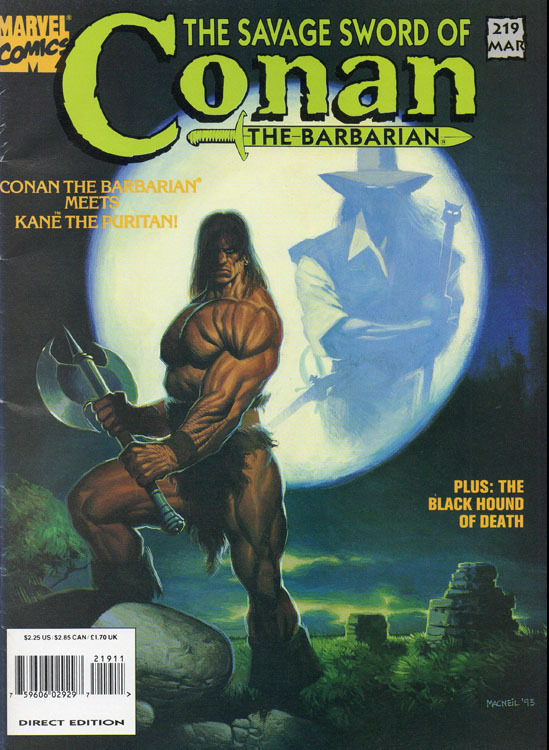 I very much enjoyed their work on the first issue. Giffen has often had a rather Kirby-esque element to his art, and that very much suits this series. This especially comes into play in a scene where Big Bear reveals his technology and explains “Kirby is my communal reconstruction bio engine. He’s responsible for building and maintaining this environment. Without him, none of this would be possible.” That was a nice tip of the hat to the King of Comics. Regrettably Giffen involvement in DC’s big Futures End crossover prevented him from penciling the next two issues of Infinity Man and the Forever People. So, yep, we already have fill-in art teams on this book. I hope that does not kill any sales momentum or reader interest. At least the guest artists were mostly good. 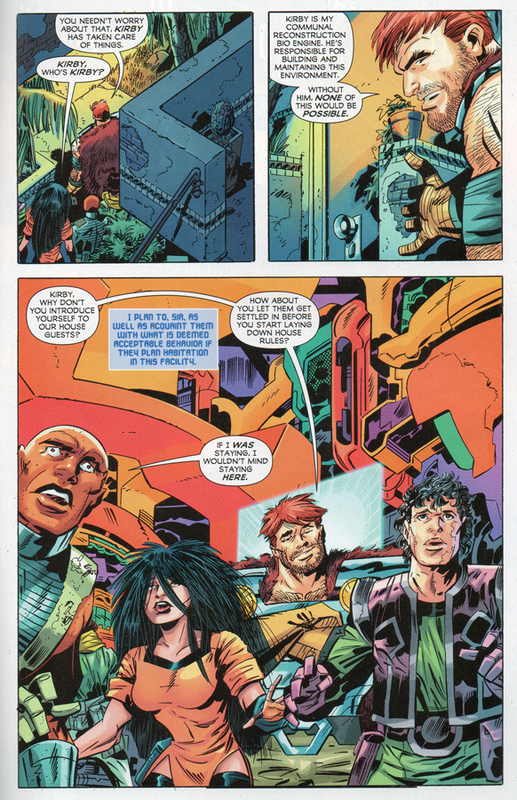 On issue #2, the art is courtesy of penciler Tom Grummett and inker Scott Hanna. I’m certainly a fan of both gentlemen. 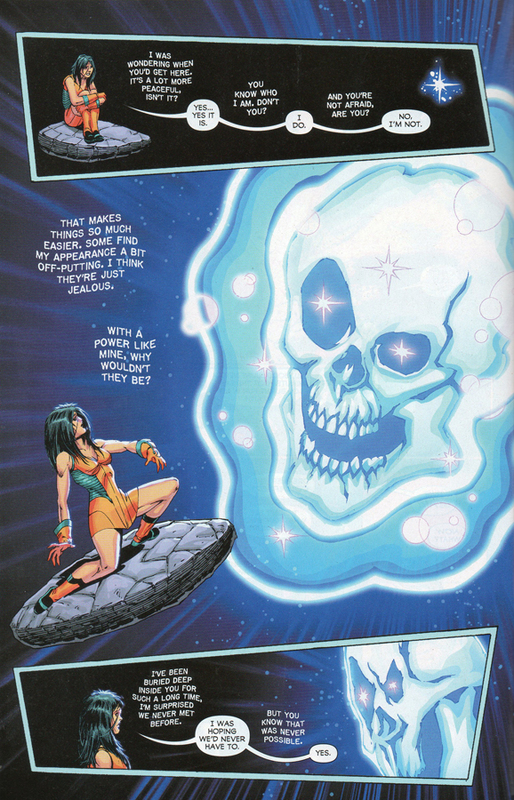 Grummett has always been good at rendering Kirby’s characters, including the New Gods. For instance, Grummett penciled an appearance by the Forever People in the pages of Adventures of Superman about twenty or so years ago. I enjoyed seeing him now having an opportunity to depict the New 52 versions of the characters. 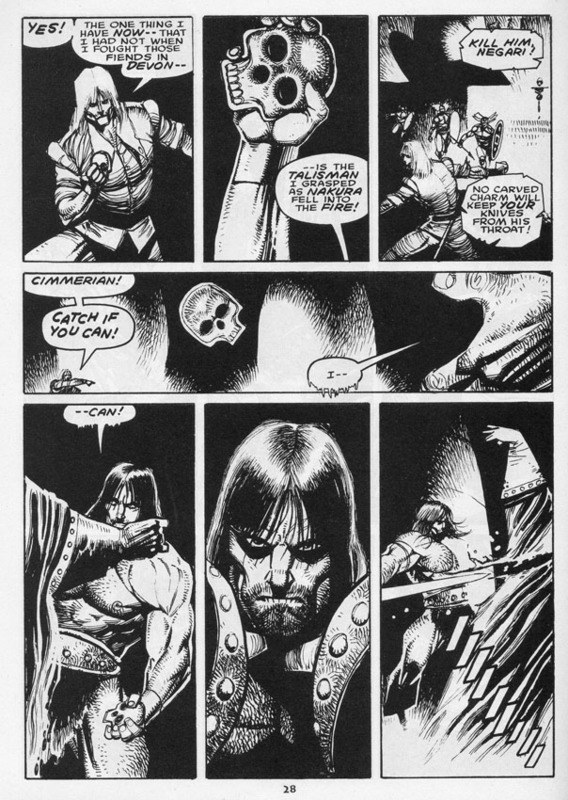 Offhand I don’t recall if Hanna has ever inked Grummett before. They definitely go together very well here, creating some lovely art. I was especially taken by their rendition of Beautiful Dreamer. Everyone’s favorite cosmic comic book creator Jim Starlin is the guest penciler on Infinity Man and the Forever People #3. 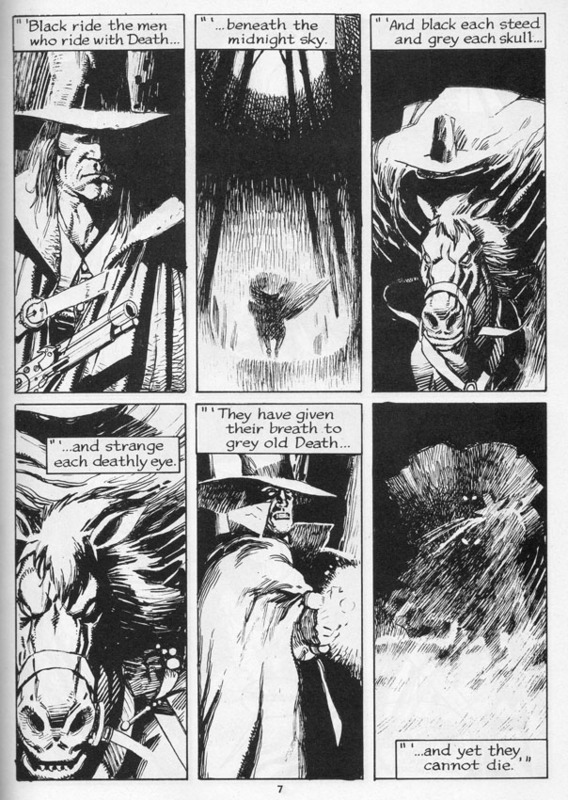 He is paired with inker Rob Hunter. Truthfully, I was not especially fond of their collaboration. 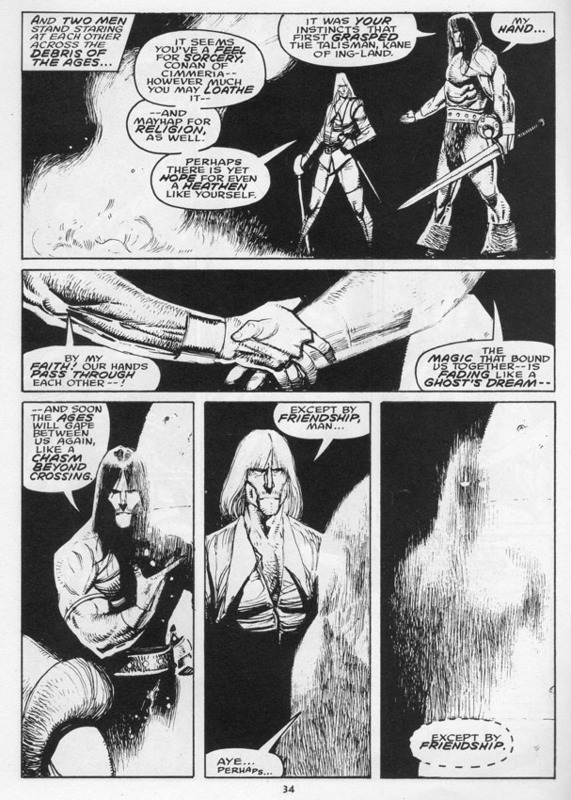 Hunter’s inking is in the vein of the house style of Top Cow, with flourishes reminiscent of Silvestri and Turner. I did not feel this fit Starlin’s penciling. I would rather have seen him inking himself, or by longtime inking partner Al Milgrom, who always does a good job finishing Starlin’s pencils. Nice coloring work on these issues by the gang at Hi-Fi. I’ve always found it to be a good sign when that name pops up in the credits. They are definitely one of the better groups of computer colorists in the biz. On the whole I did enjoy the first three issues of Infinity Man and the Forever People. DiDio & Giffen did a good job introducing the characters and establishing the premise. I just wish that the comics were a little bit longer. Twenty pages just did not seem like sufficient space. The book really needs an extra two or three pages to enable the story to breath a bit. I am very interested in seeing what happens with the Forever People next. 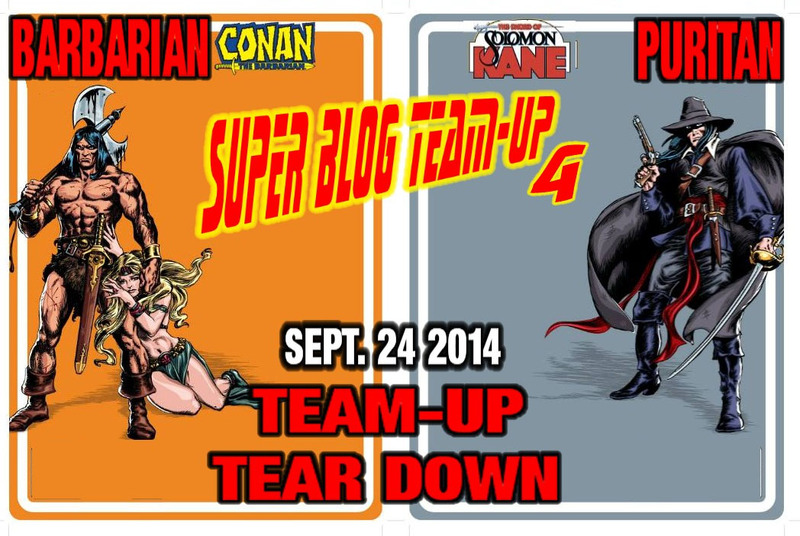 I know that this month’s installment is a special crossover with the aforementioned Futures End storyline. And then there are going to be a couple of issues tying in with the “Godhead” storyline running through the various Green Lantern titles. Perhaps that will inspire some GL fans to check out this series. Oh, yes, from the pages of Batman Incorporated, there’s going to be an appearance by Bat-Cow! That sounds like just the sort of delightfully offbeat, bizarre humor the Giffen specializes in, and I’m looking forward to it. When a tyrannosaurus shows up in Victorian London, it transpires that the newly-regenerated Doctor had landed the TARDIS in prehistoric times, where it got swallowed by a dinosaur, which then got transported to the late 19th Century along with its would-be meal. Fortunately the t-rex coughs up the TARDIS on the banks of the Thames, where the Paternoster Gang is investigating the presence of the dinosaur. And so Madame Vastra, Jenny Flint and Strax are reunited with Clara, and introduced to the Twelfth Doctor. Following on from his transformation at the end of “The Time of the Doctor,” our resident Time Lord is understandably discombobulated. He is quickly put to bed in Vastra & Jenny’s house, while Clara attempts to process what, exactly has occurred. To be honest, of all the people in the universe, you would expect that Clara would have the easiest time accepting the Doctor regenerating. Perhaps she doesn’t really remember her experiences as “the Impossible Girl” whose consciousness was fragmented and scattered about myriad points in the Doctor’s timeline. However, she quite recently met both the War Doctor and the Tenth Doctor during the events of “The Day of the Doctor.” So she knows he can regenerate, and that even though he looked young he was really a couple of thousand years old. This makes it very surprising that Clara is seemingly in shock that the Doctor is suddenly completely different and older-looking. Perhaps it is a case of the difference between knowing something is possible and actually seeing it occur before your eyes? Still, Clara’s uncertainty and difficulty accepting the new incarnation of the Doctor does lead to an interesting scene between her and Vastra (Neve McIntosh). Often the Paternoster Gang is written with a rather tongue-in-cheek manner, and they are typically depicted as moving about very comfortably within Victorian England, accepted by the authorities as experts on strange phenomenon. Given that, it is easy to forget that Vastra is an outsider, a Silurian who was born millions of years ago, now living in a completely alien world. Writer Steven Moffat addresses this in “Deep Breath,” showing how she copes with her new existence among humans who are often unable to accept anyone or anything that is strange or different. It makes sense that Vastra would feel a certain kinship to the Doctor, who is also an outsider. Truthfully, I did not fine the plot of body-snatching clockwork robots especially compelling. I was actually wondering at what appeared to be an apparent plot hole. These mechanical beings supposedly crashed on Earth centuries before and have been harvesting humans to rebuild themselves all this time, but their activities have only been noticed for the last few months, with the London newspapers reporting various instances of supposed spontaneous combustion (they were burning their victims to disguise the stolen body parts). Maybe this is something that Moffat is going to address later on in the eighth series, that some outside force woke them up. Perhaps it ties in with that enigmatic woman in black named Missy (Michelle Gomez) who popped up in both of these episodes. Even in this confused state, the Doctor still wants to help return the tyrannosaur to its own time period, recognizing that it is an innocent being that was plucked into a strange place through no fault of its own. And he is distraught when the dinosaur is killed by the clockwork robots. We also see the Doctor is genuinely hurt and disappointed at Clara’s difficulty in accepting that he has changed. In the next scene, following on from the Doctor’s warning, we discover that the robot has been destroyed, having fallen out of the blimp and become impaled upon a metal steeple. You are left wondering if the clockwork man committed suicide once it became convinced it would never reach the mythical paradise it believed in, or if the Doctor was forced to kill it. 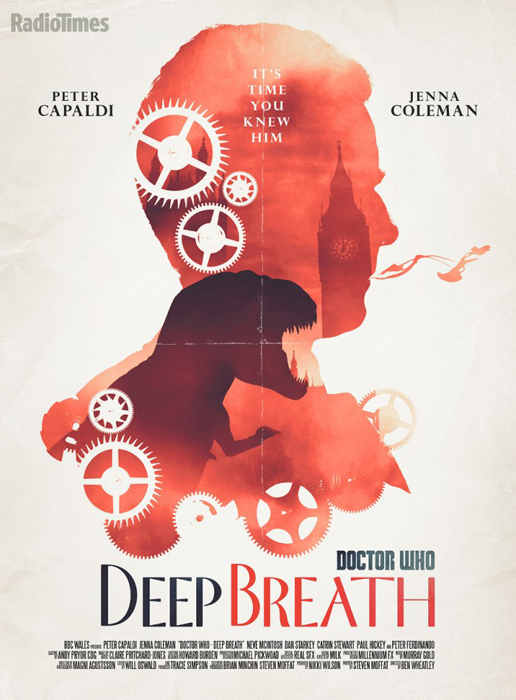 “Deep Breath” was a somewhat uneven episode. There were a number of good scenes, character moments and performances that perhaps were not connected together as well as they could. 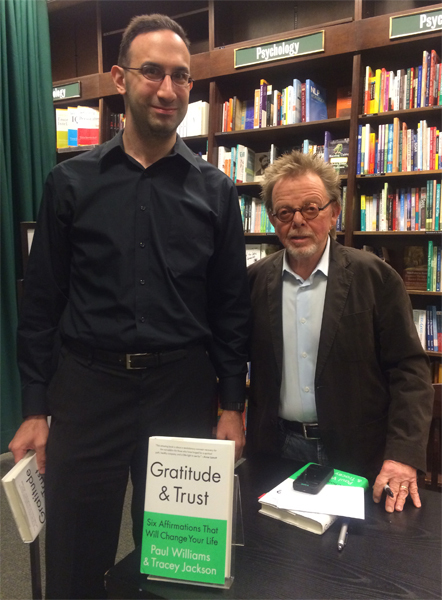 I was a bit underwhelmed, although Capaldi definitely impressed as the Twelfth Doctor. 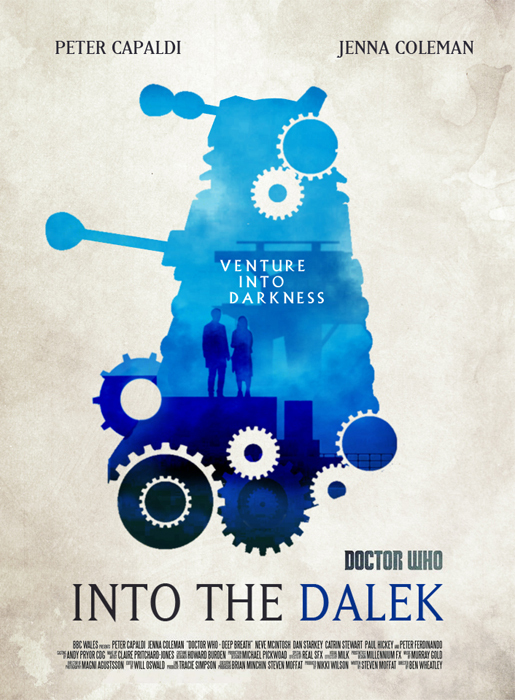 I was definitely much more impressed with this week’s episode, “Into the Dalek” co-written by Phil Ford & Steven Moffat. Sometime in the far future when humanity is engaged in a massive space war with the Daleks, the Doctor rescues Journey Blue (Zawe Ashton) when her fighter ship is destroyed. Returning her to her home spaceship, the Aristotle, the Doctor discovers that the humans have taken a Dalek prisoner. Strangely, this captured Dalek seems to have “turned good” and is expressing a desire to fight against its own kind. Although suspicious and extremely skeptical that Daleks are capable of any sort of change from the conformity that is genetically programmed into them, the Doctor nevertheless reluctantly agrees to help the humans repair it, in the hopes it will aid them in their fight, and show a way in which to grant empathy and creative thinking to the rest of its species. The Doctor locates a radiation leak inside Rusty and seals it. This saves the Dalek, but it also causes its internal computer to begin functioning normally, and it’s conditioning to be restored. Rusty breaks loose on the Aristotle and begins attacking the humans, as well as summoning the Dalek mothership. Soon the Daleks are assaulting the Aristotle in force. Rusty: I see into your soul, Doctor. I see beauty. I see divinity. I… see… hatred! Rusty: I see your hatred of the Daleks and it is good! The Doctor: No no no no. You must see more than that. There must be more than that! Unfortunately Rusty is unable or unwilling to listen to the Doctor’s pleas. Rusty ambushes the Dalek boarding party, wiping them out. Afterwards, the Doctor, Clara and Blue have returned to normal size. Even though they have won, the Doctor is disappointed, and Rusty is unable to understand why. Rusty: Victory is yours, but it does not please you? The Doctor: You looked inside me and you saw hatred. That’s no victory. Victory would’ve been a good Dalek. The Doctor really had hoped to change the Daleks, to get them to grow, to put aside hatred, enable them to appreciate the beauty of the universe, to understand that other beings had a right to existence. Instead, all he was able to do was to cause Rusty to embrace a different form of hate, to turn its destructive abilities upon a different target, namely its own species. And, worse yet, this experience has once more reminded the Doctor of his own hatred, his own capacity for violence and destruction. The Doctor is undoubtedly reminded of his own experiences during the Time War, when he was the War Doctor, fighting against the Daleks. The dislike for the military he shows here is at least partially due to his own self-loathing for the person he once was. As much as he likes Blue, the Doctor will not take her with him. Humans such as Clara have helped to awaken the best qualities in him, often serving as his conscience. And so he is undoubtedly afraid that someone like Blue will bring out his worst aspects. Ford & Moffat did an excellent job writing “Into the Dalek.” The script really is top-notch, the ideas it touches upon complicated and thought-provoking. The direction by Ben Wheatley is fantastic. The sets, costumes, and special effects look great. Capaldi does a superb job working with this material, giving a very compelling performance. Regular Dalek voice artist Nicholas Briggs turned in a nuanced performance as Rusty, really bringing to life the creature’s emotional turmoil. While not perfect, series eight of Doctor Who is off to a good start. 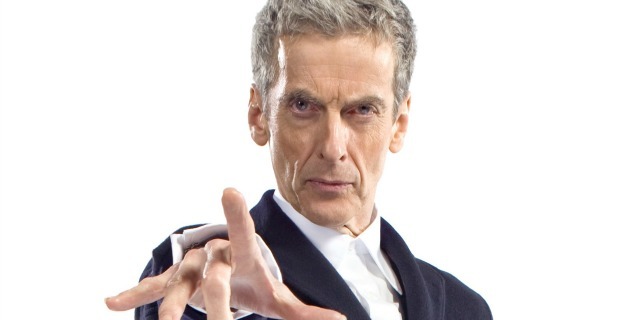 Peter Capaldi has definitely hit the ground running as the Twelfth Doctor. I am very much looking forward to seeing more from him in the coming weeks. Oh, yes, one other thing… I love the new opening title sequence. As I understand it, it was inspired by a sequence created by series fan Billy Hanshaw that was posted online. It looks very cool, with a rather steampunk style to it. Definitely suits the new Doctor.